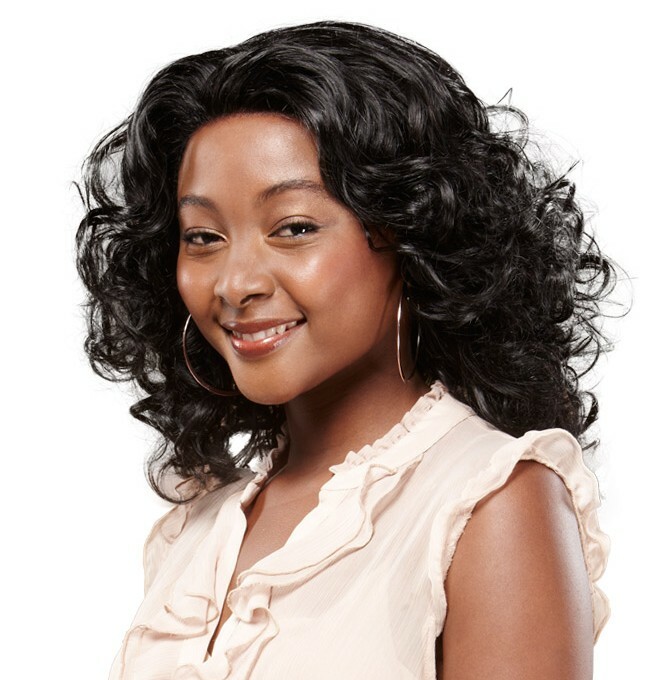 If you have long or bulky hair, first put on a Wig cap (which you can purchase at the FR!KA outlet) so that your hair can be even and manageable under your beautiful Lace front wig. Line up the front of the wig with the front of your head. Hold your wig with both hands and slide it over the head from the forehead with the hairline of the wig one to two inches from where you want it to be. Gently, adjust the wig back until the hairline is where you want it to be. Once the hairline is where you want it to be, cut the lace in front with a pair of scissors making sure it is removed and only the hairline shows. The end result should have the wig lying just in front of your natural hairline all the way around your head without any lace showing on your forehead. Remember, each time the wig is washed, it shortens its lifespan, so the idea is to use as few styling products as possible so that it won’t need to be washed as often.